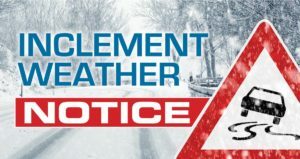 During the inclement weather months, please take a moment to review the options below in the event CareMount Medical must close early or delay opening. A recorded information line which will give information on any change in office hours. A weather alert will be on the home page if there is any early closing or delayed opening of any location(s). Follow CareMount Medical on Facebook as it will have a posting on any early closing or delayed opening of any location(s). Follow CareMount Medical on Twitter as it will have information on any early closing or delayed opening of any locations(s). Which includes WHUD 100.7FM, WSPK 104.7FM, WLNA 1420AM & WBNR 1260AM, will be alerted for any early closing or delayed opening of any locations(s).